While you’re out navigating the hectic housing market, let NC REALTORS® assist you with your day-to-day business operations. 75+ percent of N.C. real estate transactions use NC REALTORS® forms. Protect your business and your consumers with one of the most popular benefits offered to all members — NC REALTORS® approved standard forms and contracts. 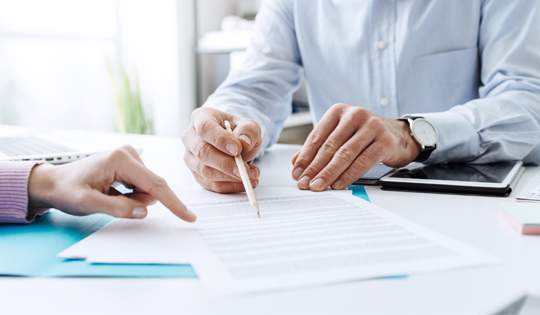 These industry standard forms are developed and maintained with guidance from legal professionals and they are used in more than 75 percent* of N.C. real estate transactions statewide. NC REALTORS® members have access to over 100 contract forms in both interactive and non-interactive formats. The extensive forms library includes residential, commercial, property management and auction forms. Our forms are regularly developed and updated to keep them relevant in everyday real estate practice. Non-member sales associates of REALTOR® member firms. However, a non-member is not allowed to purchase the forms directly or access the forms via this website. Members in good standing of the North Carolina State Bar are allowed to use the NC REALTORS® transactional forms (those with a “T” following the form number). Owners of properties subject to the Vacation Rental Act may use the Vacation Rental Agreement (Standard Form #411-T). Producers of textbooks and instructors of real estate-related courses are permitted to use NC REALTORS® forms in connection with their textbooks and/or courses – subject to their prior written agreement with NC REALTORS® to abide by certain restrictions. Please complete a Standard Forms Order Form, or email the NC REALTORS® Legal Department for more information. zipForm® Plus is the official forms software for NC REALTORS®. This software is available to you, as a member benefit, at no cost. Your membership includes online access to zipForm® Plus. Maximize efficiency, streamline workflows and reduce risk with the essential forms software used by hundreds of thousands of real estate professionals nationwide and beyond. First time users: You must have a login to the NAR website to set up an account with zipForm®. If you don’t have one set up, go to nar.realtor, click on “Sign In” on the top right. Click “Register” at the top of the login box and choose your own username and password. To set up an account with zipForm®, visit http://www.zipform.com/order/order.asp and follow the steps, selecting NC REALTORS® from the drop down menu of associations. When the login window appears, log into the NAR site with the credentials you just set up. Choose your own username and password for your zipForm® account when requested.Once you complete this initial registration, logging in at zipForm® on subsequent visits will take only seconds. In addition to zipForm®’s excellent, user-friendly website, customer service support is available by calling (586) 840-0140. Support is available Monday through Friday (24 hours per day) and 10:00 a.m. to 10:00 p.m. on weekends and holidays. zipForm® also has various training presentations available for you to use online. View the presentations that are currently available. With just one call to the Legal Hotline, you’ve paid the equivalent of your entire NC REALTORS® dues. While you’re out navigating the hectic housing market, let NC REALTORS® legal counsel and their services navigate the unfamiliar legal territory for you. Our in-house counsel closely monitors, reports and acts on potential legal issues related to laws, regulations and policies that govern the real estate industry to protect our members’ best interests. With access to the Legal Hotline, weekly Q&As, manuals, the Tech Helpline and the Ombudsman Program, you will never again waste valuable time scratching your head or biting your nails over legal issues. Find epic resolution with NC REALTORS® legal services. NC REALTORS® have free, unlimited access to the NC REALTORS® Legal Hotline. Did you know one call to a real estate lawyer costs an average of $250 per hour? With just one call to the Legal Hotline, you’ve paid for one year of NC REALTORS® dues in full. In 2016, over 2,700 calls and emails were fielded by our legal team, equating to a cumulative savings of $675,000*. Now that’s epic value! Don’t waste your time stressing over forms, disclosure or landlord/tenant law. Call the NC REALTORS® Legal Hotline to get quick resolution, so you can return to your clients and your business. *If each inquiry and resulting research equates to an hour of legal consultation. NC REALTORS® lawyers have created articles and Q&As on a wide variety of legal topics that are very relevant to your real estate practice. These appear in Insight magazine, NC REALTORS® weekly newsletter and other media, and have been archived and organized so that you can easily locate one that may be of interest to you. NC REALTORS® offers many legal documents and manuals to help you conduct business as efficiently as possible. Refer to the Model Office Policy Manual to build and maintain a strong real estate office, or use the Buyer or Seller Advisories to help guide your clients in the purchase and sale of their properties. Solve your most challenging IT issues and questions with NC REALTORS®’ newest member benefit, Tech Helpline. Designed to provide members technical support via email, chat and toll-free number at no cost to NC REALTORS® members, specific software products and hardware devices covered can be found here. 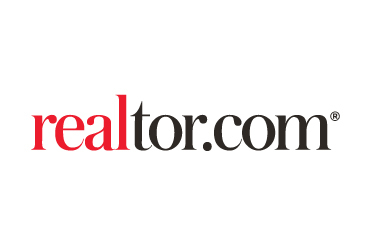 The term “REALTOR®” signifies membership in the National Association of REALTORS® (“NAR”). In addition to NAR membership, REALTORS® hold membership in a local and a state association of REALTORS®. Not all licensed real estate agents are REALTORS®. REALTORS® are different from non-member licensees in that they voluntarily subscribe to a strict Code of Ethics. If you believe that a REALTOR® has violated one or more articles of the Code of Ethics, you can file an ethics complaint alleging a violation(s) through the local association of REALTORS® where the REALTOR® holds membership or participates in a multiple listing service owned/operated by a REALTOR® association. You may search for a member’s local affiliation here. Click here for quick access to several resources to help you understand what filing and processing an ethics complaint and arbitration request entails, as well as the general process you can expect when filing an ethics complaint or arbitration request with a local association of REALTORS®. Check with the local association of REALTORS® to ensure you have the proper forms required by that association. In rare instances, ethics complaints and arbitration requests are processed by the NC REALTORS® rather than a local association of REALTORS®. Such complaints and requests are handled in accordance with the same procedures with a few modifications. If your ethics complaint or arbitration request is processed by NC REALTORS®, the Code of Ethics and Arbitration Manual outlines the process. Questions about ethics complaints and arbitration requests handled by NC REALTORS® should be directed to the NC REALTORS® Legal Department at (336) 294-1415. When conflicts between peers or clients can’t be resolved on your own, let NC REALTORS® Ombudsman Program step in and help you address the problem. Like a mediator, an ombudsman helps parties find solutions. The ombudsman process does not replace mediation; rather, it is a more informal process that will take place earlier and that will, if successful, avoid the need for a more formal mediation process and potentially a formal ethics or arbitration hearing. 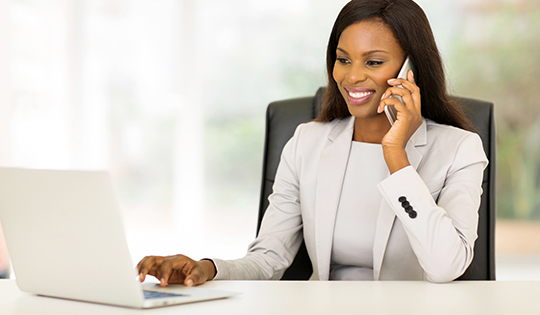 The Ombudsman Program in its simplest definition is informal telephone mediation. In some cases, it can address and solve minor complaints from the public. It can also solve inter-REALTOR® conflicts before they become serious problems. Like a mediator, an ombudsman helps parties find solutions. The ombudsman process does not replace mediation; rather, it is a more informal process that will take place earlier and that will, if successful, avoid the need for a more formal mediation process and potentially a formal ethics hearing or arbitration hearing. Boards and associations of REALTORS® are charged with the responsibility of receiving and resolving ethics complaints and requests for arbitration. This obligation is carried out by local, regional and state grievance committees and professional standards committees. 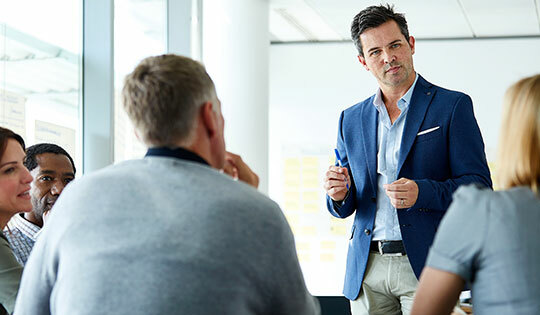 Many complaints received by boards and associations might be averted with enhanced communications and initial problem-solving capacity at the local level. The NC REALTORS® Ombudsman Program is intended to provide that capacity. The Ombudsman’s role is primarily one of communication and conciliation – not adjudication. Ombudsmen do not determine whether ethics violations have occurred or whether a REALTOR® may be entitled to a commission; rather, they anticipate, identify, and resolve misunderstandings and disagreements before matters ripen into disputes and possible charges of unethical conduct or formal requests for arbitration. All communications made to the ombudsman or NC REALTORS® – whether written or oral – shall be confidential and may not be disclosed (other than communicating information and results between staff and the ombudsman) to any other person for any reason. Ninety-five percent of survey respondents conclude that strategic planning enhances organizational performance and survival (Science Alert, 2007). For more information on any of these benefits, please email hello@ncrealtors.org. 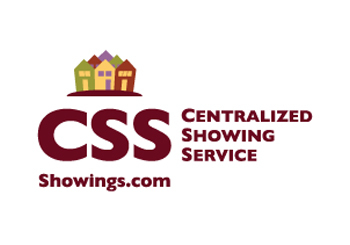 *Services and/or resources available only for local REALTOR® association leaders and staff. With one purchase, your NC REALTORS® membership can more than pay for itself. 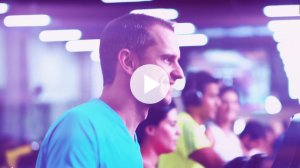 The Active&Fit Direct™ program allows you to choose from 9,000+ fitness centers and YMCAs nationwide for $25 a month (plus a $25 enrollment fee and applicable taxes). Getting active and fit has never been easier. 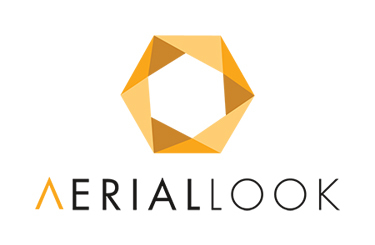 AerialLook is changing the way we experience real estate utilizing the latest drone, 3D and Virtual Reality technologies. In an effort to assist REALTORS® with adopting technology to increase client acquisition and reduce time on market, we work diligently to deliver our digital media packages for an affordable cost that makes sense at all price points. Your success is our success! We are dedicated to working with you to build your brand and career for no additional cost. We offer complimentary training in one on one or group settings to share best practices associated with promoting your listings and brand with drone, 3D and VR technology. We want to insure you are experiencing the exponential benefits interactive technology has to offer your real estate career. Members will be supplied with daily content to post to social media that includes images, articles and training for FREE. Members can send off images of property or clients via email, and in under 1 minute those images will return with marketing graphics and designs for those images. Those images will return formatted for all three platforms, and can be used for the entire life cycle of the listing. Coming Soon, Closed Deals, and Happy Client images are all ready for use almost instantaneously. This handy video explains how it works. Become an ICON in your community. 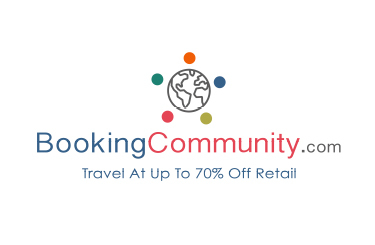 BookingCommunity recognizes the importance of travel and saving money. NC REALTOR® Partners Program has connected with BookingCommunity to offer member-only access to wholesale room rates to over 800,000 hotels and resorts, worldwide. These discounts are up to 70% off of the publicly advertised rates on popular travel websites. All you have to do is click below and sign up. Brinks has always been one of the most widely recognized brands, known for dedication to security and protection. Brinks Home Security has more than 1 million subscribers, making them one of the largest and most trusted home security companies in the U.S. Their reputation is powerful, and maintaining that standard of excellence is a responsibility they take very seriously. 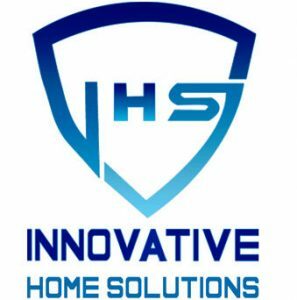 As an Authorized Brinks Home Security Dealer, Innovative Home Solutions will be able to offer to the following services and benefits to NC REALTORS® members AND their clients. Give the FREE gift of Home Security and/or Home Automation. Security Only – Free Equipment (or upgrade current equipment) packages and Free installation. Monthly monitoring - $44.99/month. Smart Home Package – Free Equipment (or upgrade current equipment) packages and Free installation. Monthly Smart Home monitoring - $64.99/month. Contact Tom Dapp for yourself, your client's final walk through, or connect him with your closing agent as a Free Gift Opportunity to all of your clients. The Magazine Gift Program with The Loyalty Label™, is devoted to client retention and loyalty for repeat business and referrals. It is a powerful marketing tool preferred by business professionals and has been found to be effective, affordable, and easy to use, since 2001. Send a popular brand magazine to your client with your Loyalty Label on the front cover of every issue displaying your contact information, logo and a personal message. Stay “top-of- mind” all year long for repeat business and referrals! An announcement postcard is sent on your behalf to announce your gift subscription. Up to 13 “touch-points” annually. No minimums and no setup fees. The Loyalty Label™ is a 4” X 4” non-removable label applied directly on the front cover of every issue. The standard Loyalty Label™ displays your contact information, logo and a personal message. A 6” x 9” postcard is automatically sent via First-Class Mail® on your behalf to announce your personalized gift subscription and to ask for referrals. Visit https://ncar.magazinegiftprogram.com/login for program details or to sign up. 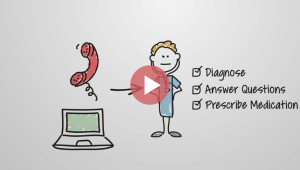 Call A Doctor Plus has a mission “to save people and organizations time and money by providing them with convenient, 24/7 access to quality healthcare in minutes by phone, video or mobile app”. Health Cost Estimator or HCE+ is a tool that gives you the information needed to comparison shop for healthcare. From Pharmacies to medical procedures, pricing transparency data will be accessible enabling you to make decisions based on cost and quality. All of these services are available to NC REALTORS® members for a monthly fee of $22.95 with no additional fee when the service is accessed. 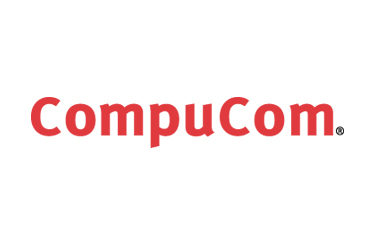 CompuCom's unique value chain covers the full life cycle of IT services — from the procurement of technology to the configuration, implementation and management of complex environments. We’re here to empower you to achieve the highest levels of performance by making technology work for you — anywhere, anytime, on any device. Our Managed Workplace Services meet the demands of today’s end users through cost-effective, integrated solutions and services. Smartphones, tablets, wearables and 2-in-1 BYOD devices are enabling members to access information where and when they like. With these member discounted Solutions, you can select the devices and plan of your choice while maintaining a level of security, compliance, and cost control. Our Solutions are of a full-spectrum offering for mobile devices for personal, small-to-medium businesses, and large corporations, from device acquisition through disposition. NC REALTORS® has partnered with MyRental from CoreLogic bringing you the best tenant screening tools available, the same tools the largest property management companies rely on. NC REALTORS® members will save 20% on all bundled services. To start saving money on tenant screening services, click here. As many are aware Credit reporting firm Equifax experienced a data breach that could potentially affect 143 million US consumers. Equifax said data on 143 million U.S. customers was obtained in a breach, the breach was discovered July 29, 2017. Personal data including birth dates, credit card numbers and more were obtained in the breach. Three Equifax executives sold shares in the company days after the breach was discovered. ID Shield wants to ensure you and your family are fully protected with more than a free credit monitoring service. As your NC REALTORS® Partner, they are here to assist you in getting the right coverage in place. Watch the video below to see how quickly ID Shield can assist. Join ID Shield today! For immediate assistance, please contact Jeanette via email or at 571-830-5489 to get signed up and protected TODAY. Mention NC REALTORS® for your discount. We’re all good people. But sometimes bad things happen to good people and sometimes good people make mistakes. That’s why, in life, you need a law firm, not just a lawyer. Click below to watch an entertaining, relevant message. Join Legal Shield today! If you have questions about membership contact Jeanette via email or at 571-830-5489. Mention you’re a member of NC REALTORS® for your special discount. Life Line Screening, the Power of Prevention. Life Line Screening enables you to go beyond your annual checkup for a better look at your health. They use ultrasound to look inside your arteries for plaque buildup, a major risk factor for stroke and heart disease. Screenings are convenient, painless, non-invasive and available at various predetermined dates and mobile locations throughout the state of North Carolina. Schedule your screening online. Please use priority code BDHW273. Call 888-763-4164 for dates and times available in your area. Lowen Sign Company is the premier supplier of innovative yard signs, banners, and vehicle wraps that enhance the business opportunities of our customers. Stock message and name riders ship the next business day. 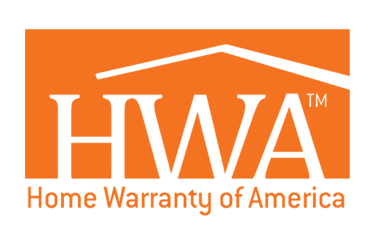 We are an approved sign supplier to all of the major real estate franchises and many independent companies across the United States and Canada. Discounts are not applicable to sales tax or shipping and may not be combined with any other offers. Your discount automatically applies to your order. To start saving money with Lowen Sign, click here. Call their order desk at 800-545-5505, and mention the NC REALTORS® discount above. We are also pleased to offer you access to the REALTOR Benefit® Program, available to you through your NAR membership. Bundle your cars, boats, ATVs, snowmobiles, motorcycles, and Pet Insurance with Nationwide and save money. Since 1982, Nationwide has been the nation's leading provider of pet health insurance. Don't let another vet bill come your way before you decide to take action. Experience the protection and peace of mind that pet insurance from Nationwide can provide. Nationwide brings you health insurance coverage for your pets. As a NC REALTORS® member, you're eligible for a discount on Nationwide pet insurance. Save even more when you enroll multiple pets. Nationwide offers the best Multiple Line savings available. Call 1-886-688-9144 and mention that you are an NC REALTOR®. 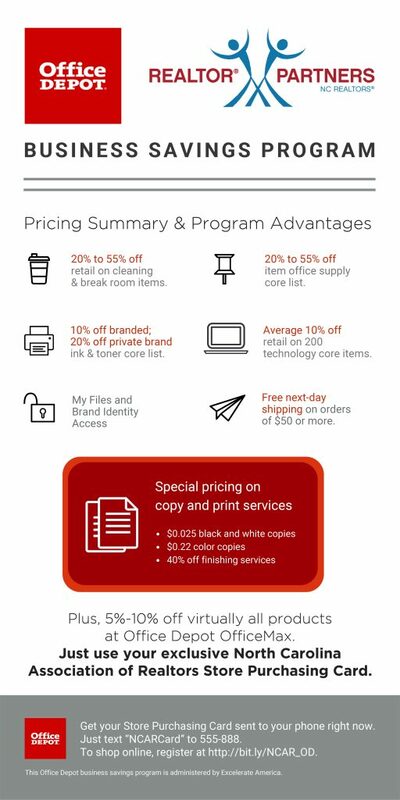 As the industry leader of office products, Office Depot/Office Max Business Savings Program is dedicated to providing world-class service, savings and solutions for your success. NC REALTORS® members realize benefits typically offered to Fortune 1000 companies through participation in the program. Sign up today and let the buying power of the NC REALTORS® discount program save you up to 30% off retail pricing on the office supplies you need most! Click here to see a list of some of the discounted items. To see program pricing and current offers, click here or text ODPromos to 555-888. Get your Store Purchasing Card sent to your phone. Text NCARCard to 555-888. To shop online, register at http://bit.ly/NCAR_OD. Questions about signing up? Contact Lori Mayes at 919.612.8143 or lori.mayes@officedepot.com. Announcing Our New Partnership with The Paperless Agent! We’ve recently teamed up with Digital Marketing Expert, Chris Scott, and Expert Listing Agent, Garry Creath, from The Paperless Agent to give you exclusive access to their FREE training sessions. After receiving national recognition from Apple, Evernote, Inman and others for their innovative use of technology in real estate, Garry co-founded The Paperless Agent to help other agents make their lives easier and close more deals with technology. Together with Chris Scott, a marketing and real estate business expert, Garry and Chris now help agents master the latest digital marketing strategies & technology in order to generate more leads, listings, referrals, and commissions! Every week, for a full 75 minutes, Chris Scott and Garry Creath will be offering a free training webcast covering r the latest real estate marketing strategies & trends! From Facebook Ads to the best ways to market a listing… they’ll share the expertise they’ve built over the past 20 years. Plus, at the end, you can ask them ANYTHING you’d like and they’ll answer all of your questions (they’ll stick around for a 30-minute live Q&A session…EVERY WEEK). Pearl Insurance has been protecting real estate agents from costly litigation for over 30 years—and we’re proud to call North Carolina (NC) REALTORS® a trusted partner. As a leader in the insurance industry for over six decades, we know what it takes to meet your firm’s specific needs. Pearl Insurance has now introduced new Cyber Endorsements for XL Catlin E&O policyholders. These endorsements are a low cost way to add coverage for 3rd party wire transfer fraud claims which we all know is a pretty hot topic right now. CyberOne covers expenses and liability occurring when a computer attack occurs. Data Compromise covers expense and liability occurring from a breach. Click here to learn more. Complete our estimate form to receive your quote. A representative will contact you within 24 hours to discuss the coverage options available to you. The level of customer service I receive from Pearl Insurance exceeds my expectations. My representative is always quick to respond and attentive to the needs of my growing business. With prompt, courteous service and direct answers, I would recommend Pearl Insurance to anyone searching for errors and omissions insurance. The industry knowledge and risk management material from Pearl Insurance are well received. We value our reputation and are dedicated to our liability management. Thanks to Pearl, our associates are able to take away tips that they can use in their daily activities to help mitigate potential risks. Pipeline ROI is the first comprehensive inbound marketing solution for agents and brokers. In one platform, you have everything: a stunning mobile-friendly website with IDX, social media tools, e-mail marketing, lead capture and routing, decision-driving analytics, and more. Plus, you get tons of free marketing content and training. It’s the best way to generate high quality leads, reduce your dependence on the big portals, and measure the effectiveness of all your marketing. As a Pipeline ROI customer, you’re guaranteed to have the tools, support, and training you need to execute incredible marketing strategies. You can call the Pipeline ROI Sales department: 1-866-300-1550 and tell them you are an NC REALTOR®. 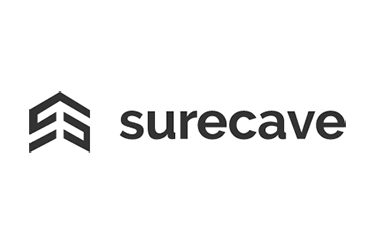 SureCave is a vertically integrated real estate technology company that provides digital tools to automate property and asset management processes for managers and owner-operators of residential rental properties. Its next-gen approach to management aggregates asset and portfolio-level transactional data to allow the software’s users to optimize performance and increase their NOI. SureCave’s mission – making rental property management more efficient and providing the best possible experience to renters and landlords alike – is well aligned with that of NC REALTORS®. 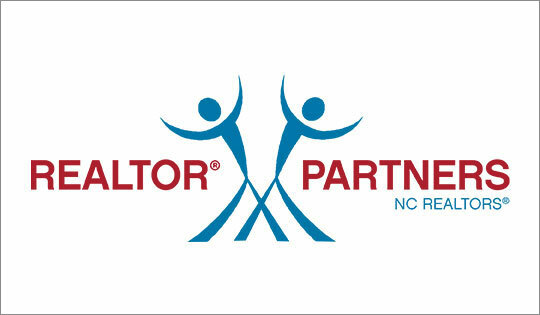 NC REALTORS® is now in partnership with Taxbot. Taxbot is an expense tracking system designed to save you money!!! Did you know there are HUGE tax advantages for your business? Regardless of how much money you make, Taxbot teaches you how to keep more of what you earn! In fact, the average user saves thousands on taxes every year. Our relationship with Taxbot gives NC REALTORS® access to strategies and tax information in addition to keeping up with expenses throughout the year. UPS is the world's largest package delivery company and a leading global provider of specialized transportation and logistics services. NC REALTORS® members can save up to 30% off UPS Express air and international shipments. That's a significant savings over FedEx published rates! * All this with the peace of mind that comes from using the carrier that delivers outstanding reliability, greater speed, more service, and innovative technology. UPS guarantees delivery of more packages around the world than anyone, and delivers more packages overnight on time in the US than any other carrier, including FedEx. UPS offers the most reliable express service available today and savings you can count on. There are no enrollment fees or contracts to sign. Up to 10% on business services at The UPS Store®. Visit www.savewithups.com/ncar and click “I Need A UPS Account” to set up an account and get an account number. Once you have set up an account, re-visit www.savewithups.com/ncar and click on “I Have An Existing UPS Account” and enter the account number you were given. If you prefer, you can call 1-800-325-7000 to speak to a representative. They will ask for your account number, and complete the registration process. When this is done, you can start saving money on shipping and in The UPS Store®. zipForm® Plus, by zipLogix, the future of real estate software has arrived with all of the must have essential features. The online forms software features seamless integration solutions for e-signature and the option to add zipForm® mobile for Apple®, Android™ and Blackberry®. Special broker services are also available to set your brokerage apart from the competition. For more information on zipForm® Plus, visit http://ziplogix.com/zipFormplus. By partnering with zipLogix, you can put your trust in a company that has worked hand-in-hand to incorporate the latest technology into a user-friendly program. Some of the features in our program have come directly from our customers. All of this is indicative of why ZipForm® is the Number One electronic forms software program used by real estate agents across the country and serves as the Exclusive and Official Forms Software of the National Association of REALTORS®. And we take that relationship seriously. One of the things that we are extremely proud of is our commitment to the Associations and their members. 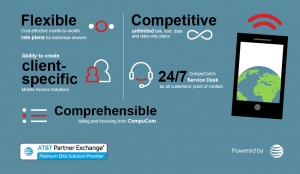 We're not just another vendor, but first and foremost, a partner. With zipLogix® you are assured of continued advancements and unparalleled knowledge and dedication by an industry leader. First-time users of zipForm® Plus must set up an account with zipForm®. Visit http://www.zipform.com/order/order.asp and select NC REALTORS® from the drop down. On your first visit, you'll be asked to enter your NRDS number. Once you have completed this initial registration, logging in at zipForm® on subsequent visits will take only seconds. For help with your zipForm® application, first visit the support site. zipForm® also has various training presentations available for you to use online. View the presentations that are currently available. Learn more about zipForm® Broker Management Tools. zipForm® has a full suite of products. In today’s hectic business world, who has the time to research vendors or check out how to get more for your money? NC REALTORS® has taken the guesswork out of this tedious task with the REALTOR® Partners Program. Through this program, NC REALTORS® members receive special discounts on the products and services you use most. When you purchase products at a discount from the REALTOR® Partners, a portion of the revenue that is generated is then given back to your local association as a form of non-dues revenue. You can lower your expenses while supporting your local association! Click on the logo for the Partner above in order to read details about the special offers available to you. You may contact the partner of your choice at the number or website given. Be sure to identify yourself as an NC REALTORS® member to get the great discounts and quality service you deserve. Contact NC REALTORS® at 336-294-1415 or email Maurice Brown for more program information. View the complete REALTOR® Partners brochure for details on all the discounts on products and services. There is no better way to show support for boards and associations than through NC REALTORS® sponsorships. We find it very rewarding when REALTORS® acknowledge our contribution to their meetings each year. It is also great to work with the staff at NC REALTORS® as they are professional and dependable in everything they undertake. Whether it is office supplies, E&O insurance, personal insurance, shipping, or home security, the REALTOR® Partners Program offers our members opportunities to save money! It also provides an opportunity to invest revenue back into their local associations. Our success as one of today's leading Errors & Omissions providers in N.C. can be attributed to the unique way NC REALTORS® has presented us to the membership. 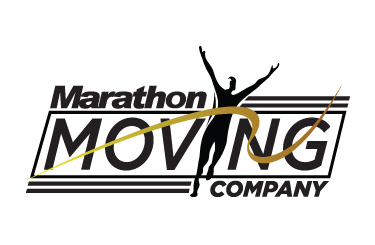 We are proud to be associated with such a first-class organization that truly values its vendors and partners. The Expo gives us an opportunity to get our Natural Gas Advantage Messages to key REALTORS® and decision makers within our market area of North Carolina. Plus, it is always a great time to see and catch up with old friends and meet new friends, too. Our firm has been insured by Pearl Insurance for years. We find them very reasonably priced and courteous. If you are looking for a great insurance company, we highly recommend them. NC REALTORS® does one of the best jobs of getting the attendees into the exhibit area. The staff is well-organized, friendly and willing to listen. They treat exhibitors like partners. One-third of REALTORS® reported they experienced fear for their personal safety or the safety of their personal information (NAR, 2019). The safety of our members is a top priority for NC REALTORS®. Our members routinely find themselves in situations where they are alone with clients they have very little background information on. The very nature of showing real estate to prospective buyers and tenants who are virtual strangers can make agents, both men and women, susceptible to becoming victims of violent crimes. 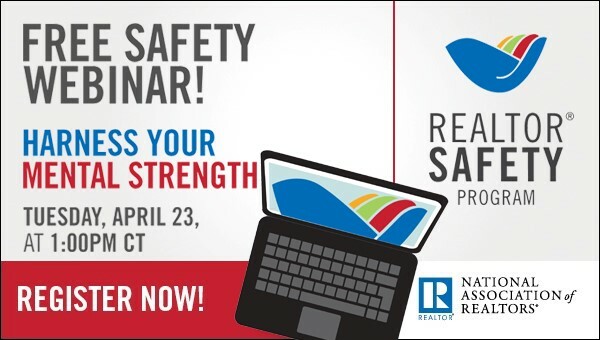 NC REALTORS® aims to provide members with practical and updated safety information through articles, webinars, seminars and training materials. 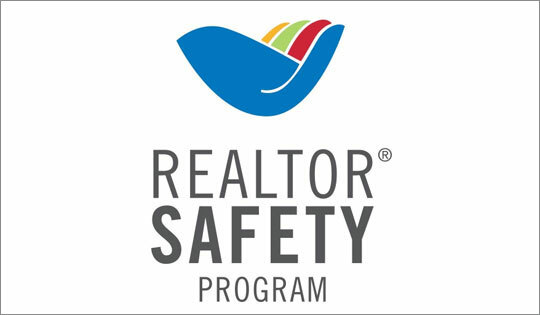 Please check out the NC Real Estate Agent Safety Guide and refer to the REALTOR® safety resources provided by the National Association of REALTORS®. On April 26, 2018, NC REALTORS® President-elect Asa Fleming and Charlotte Regional REALTOR® Association President Jason Gentry joined North Carolina Attorney General Josh Stein and representatives from the State Bureau of Investigation and federal Drug Enforcement Administration to unveil new guidelines for real estate brokers to assist in preventing drug diversion. In homes across our state, individuals have numerous prescription medicines which, if placed into the wrong hands, could perpetuate and exacerbate our state’s growing opioid addiction epidemic. These guidelines establish reasonable standards for REALTORS® and brokers to assist in their communication with their clients as they go to open up their homes for sale.